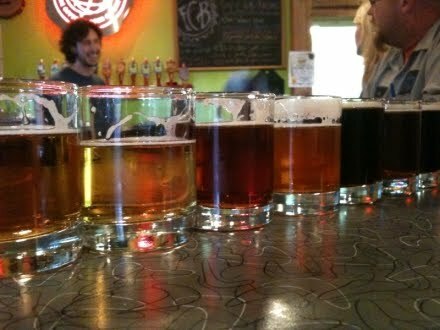 As we left Boulder County, we decided to stop in at Avery one last time before moving our base of operations to Denver. The main reason for our return to Avery was the tapping of 3 sour experiments to coincide with the release of Sui Generis (Barrel Aged Series #2). Unfortunately since Sui Generis didn't go on sale until 3PM, we weren't able to pick any up. 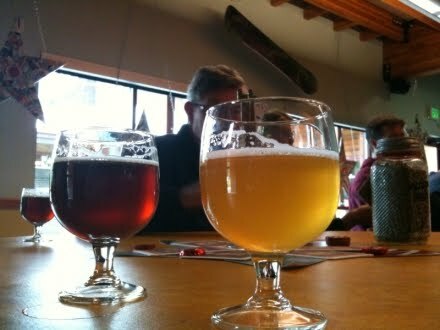 At least there was plenty of sour beer to be had on tap! 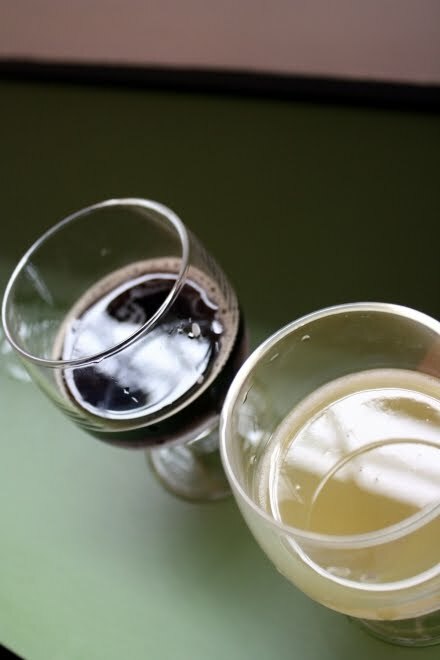 Good Sally both looks and smells like a lambic, with its hazy yellow hue and lemon, apple and pear aroma that is mixed into a nose-shocking acidity. With a nose this strong, I definitely anticipated a sourness to back it up. I was quite surprised when the sour character was actually subdued. 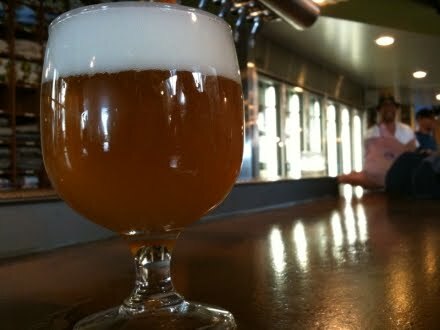 This beer came across as a Belgian Blonde with a tinge of sourness and a creamy mouthfeel. 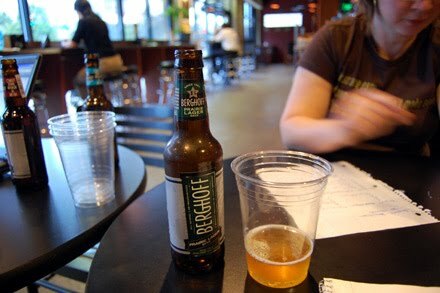 Notes of limeade and green apple helped things diverge from style and create a nice, refreshing summer beer. This variation of Reverend has a nice clear appearance and looks like it was filtered somewhat. When you first take a sniff of this complex ale you get lots of dried fruits with a hint of pucker. The first taste is not surprising that you get lots of apricot, plum and just a little hint of dried strawberries. It finishes with just a little bit of sour pucker to make the drinker want a little more. It's not a crazy sour beer but it's definitely delicious. This variation on Reverend created a number of savory characteristics. The nose was faint with subtle raspberry notes complimented by rose and lavender aromatics. Despite the soft nose, the sourness of this beer was huge. When pushing past the sharp tartness, and interesting combination of rhubarb, sun dried tomatoes, white grapes, apples and black pepper came through. The sun dried tomatoes and black pepper helped define this beer as a Saison with a massively amped up sour level. 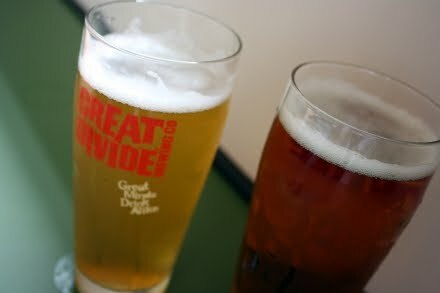 Once we arrived in Denver, we decided to head out to Great Divide just before Happy Hour. 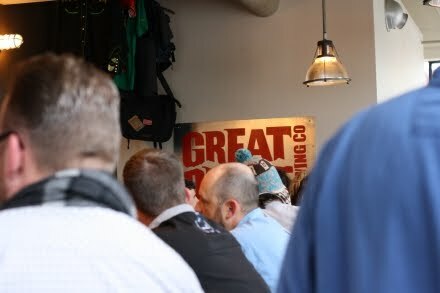 Even though we had a common cast of characters we kept running in to in Boulder County, this was probably the first time when it felt like GABF was in full swing. We pushed our way into the super crowded tap room and proceded to try Les Claymore (a sour bourbon barrel aged Claymore), a bourbon barrel aged Claymore and a Berliner Weisse. We followed these samples up with their new Wet Hop Pale Ale and Hoss. The Wet Hop was pretty much as you would imagine, and quite tasty. We agreed that Hoss tasted like Cherry Coke and that the name was somewhat of a misnomer. For reviewing purposes, however, we decided to go with a couple of the more standard offerings. The aroma of this Pale Ale is a friendly balance of spruce, grass and caramel. The grassy hop notes are well balanced with the caramel. The bitterness of this Pale Ale is mild enough to be inviting, but the lemon and grapefruit notes are enough to let hop heads get the most out of the hops. A caramel malt flavor creates a solid base that is heavy enough to balance the beer but doesn't sweeten it to the point of detracting from the hops. I was very impressed with how great the sessionability of this beer was. I could easily drink more than one without getting sick of it and the ABV floats right around 5%. I'll admit this is my first time trying this beer, and after having it at Great Divide I would really like to see it show up on some Indy tap lists. I think I've found a great lawnmower beer for Matt! Samurai is made with rice and pours with a nice pillowy head. It's slightly cloudy in appearance, much like a wheat but is a little more gold in appearance. The nose has hints of cantaloupe and aromatic flowers. It's slightly perfumey but not overpoweringly so. Tastes very light and refreshing while still having a very complex flavor profile. The ABV is right at 4.2% and I've had it before out of bottles when L'Explorateur was still open. This would pare perfectly with sushi or other fish options. I would love to see this more places and think it is a great "gateway" beer for those trying more craft options. So there's a beer festival going on a few states west of here. I thought I would be ok missing it this year. As it turns out, I'm a little sad about not going. Fortunately, I get to live vicariously through Rod and Jess. They were smart enough to go and will be bringing back some goodies. This mistake will not happen again next year, I am certain. If there is something coming up that is not listed, we would love to hear about it! 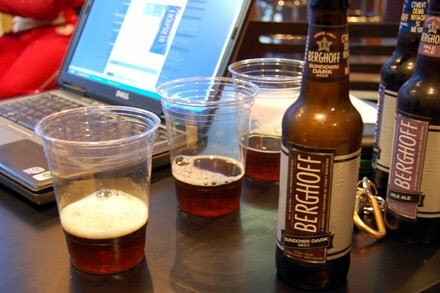 News, reviews, info, etc., to share for our next Random Beer Roundup can be submitted to hoosierbeergeek@gmail.com. So, keep dreaming. This is the Random Beer Roundup. Friday, September 24th, 6:30 pm at McCormick and Schmick's - Oktoberfest Beer Dinner - 6 courses, $40 tax and gratuity included. RSVP at McCormick and Schmick's. 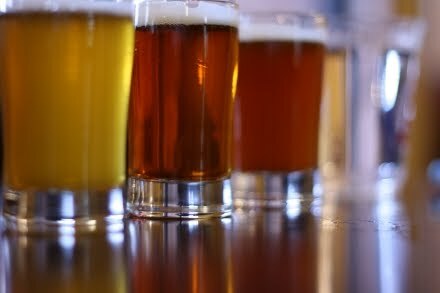 Saturday, September 26th from 4 - 7 pm at Bridge Liquors in New Albany: Ales for Tails Tasting. Friday, October 2nd at 7:00 at Broad Ripple Tavern: 6 Sun King Beers on Tap - $25 includes beer and food. Thursday, October 8th from 5 -8 p.m. at Agio in Indianapolis: Ales for Adoptable Tales - a microbrew and hors d’oeuvre pairing benefiting the Humane Society of Indianapolis. $50 in advance / $75 DOE. Purchase a VIP wristband for an additional $20 and enjoy the VIP Patio area featuring special food and more beverages. Wristbands may be purchased at the same time as advance registration or at the event. - Crown Brewing in Crown Point will be having its 1st ever Crown Challenge Pro-Am Competition on September 26th. The Crown Challenge is an AHA/BJCP sanctioned competition and provides an opportunity to have your homemade beer evaluated by BJCP (www.bjcp.org) ranked judges and/or judges with experience in evaluating beers. The winning beer across all categories (Best of Show) will have the opportunity to be scaled up and brewed in Crown Brewing’s 7-bbl system. Beers placing first, second, and third in each flight will also be recognized. The competition will be held on Saturday, September 26th at the Crown Brewery (www.crownbrewing.com), in Crown Point, Indiana. Judging will take place in two sessions (9am-NOON and 1pm-4pm). Winners of each category and Best of Show will be announced at an awards ceremony at the conclusion of the competition. Entrants and a guest are invited to attend the awards ceremony, which will follow the conclusion of the Best of Show judging, or as soon as possible after 5pm. Entrants and guests wishing to attend the ceremony will register upon arrival at Crown Brewing on the day of the competition. Everyone attending the awards ceremony will be given a raffle ticket for a free chance to win door prizes. An Oktoberfest event is scheduled to take place at Crown Brewing after the Challenge. Ouiatenon Wit Bier, Prophet's Rock Pale Ale, East Side Bitter, Tippecanoe Common Ale, Eighty-Five, Black Angus Oatmeal Stout, Collaboration Java Porter and I Am An American IPA. We're also pouring Weeping Hog IPA from the hand pull. Check out all the lagers and German styles! Maybe an Oktoberfest theme?? Lotus Festival - Upland will be pouring beer outside the tent at 4th and Grant St. on Sept. 25th and 26th. If you can’t make it to Denver for the weekend, there are still good times and good beer to be found in Bloomington. Schwarz Tag - Join us October 10th for live music and the release of our German-style schwarzbier. A portion of the proceeds go to the Exotic Feline Rescue Center—and one of the exotic felines will even be joining us for part of the event! Granite City taps Oktoberfest Mon. Sept. 28 at our Mug Club party. The beer is available to the public at 5pm. There is a complimentary buffet for Mug Club members and 1 guest. Live polka music starting at 5:00. Scotty's Brewhouse is rolling out a new menu at all locations on October 5, 2009! Come check it out! 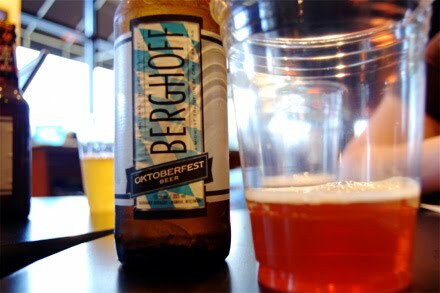 McCormick and Schmick's is having an Oktoberfest Beer Dinner Friday night, 6:30 pm. 6 courses, paired with Spaten Oktoberfest, Bell's Octoberfest, Flying Dog Tire Bite Kolsch, Ayinger Celebrator, Schlafly #15 Dunkelweisse, and Franziskaner Hefe weisse. $40 tax and gratuity included, contact McCormick and Schmick's for reservations. Also Friday is the Rathskeller's annual Oktoberfest celebration. Tons of beer, music from Polka Boy, fun for everyone. Boulevard arrived in Indiana this week, and should begin to show up in stores next week. Available will be the 750 ml Smokestack series Long Strange Trip, Double Wide IPA, and Saison Brett. The October issue of Men’s Journal recently released the Top 25 beers in America, and highlighted 5 of the 25 as best in certain categories. Left Hand had the best Pilsner, in their opinion. Ales for Tails Tasting @ Bridge Liquors in New Albany this Saturday (9/26) from 4 - 7 pm. Festive Ale this Saturday (9/26) at Optimist Park in Broad Ripple from 3 - 7pm. Congrats to Scott Wise of Scotty’s on being named Restaurateur of the year by the Indiana Restaurant Association!! Two Brothers Brewing Co. Heavy Handed IPA just hit the state this week!! This is the annual fresh hop treat from the brothers that always siginifies the changing of the seasons and a celebration of hops. As always, this beer is very limited and will only be available in limited quantities for a short period. Mad River Brewing Company is releasing their 3rd new seasonal release in 2009 with The Mad Belgian Ale. 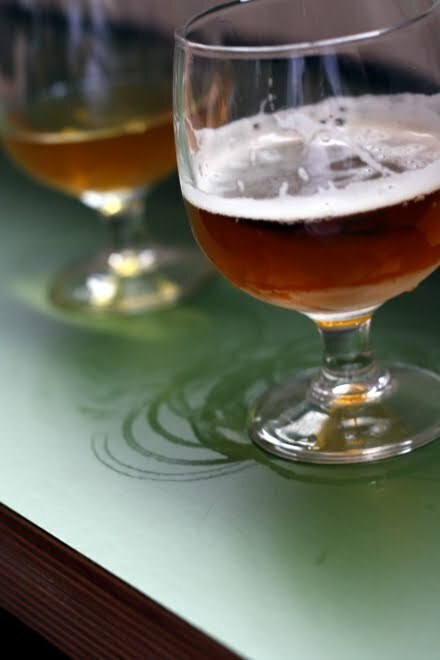 The Mad Belgian is a belgian style golden ale with a west coast influence. It is a must try, so get one while it's available. Original Sin has released a Pear Cider to go along with their incredible Apple Cider. Original Sin has fast become the preferred hard cider among those who have had the opportunity to try it, and this Pear Cider has been a highly anticipated new addition. It will be available all year, so try some asap. A new line of Dessert Wines & Meads from Chaucer's Cellars will be hitting store shelves soon. Chaucer's Cellars is located on California's Central Coast and they are know for producing their renowned dessert wines made with a variety of different fruits. Keep your eye out, these are perfect for the season!! 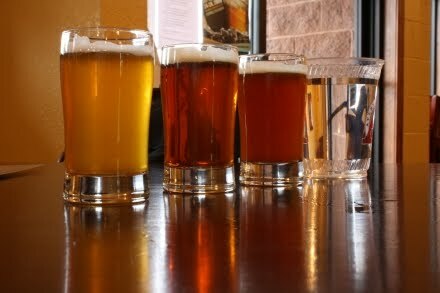 Fort Collins is a smaller town in northern Colorado with a trifecta of heavy hitting breweries, two of which distribute to Indiana. After a stop at Wilbur's Total Beverage and Whole Foods (for a quick snack) we were ready to start our day of drinking. 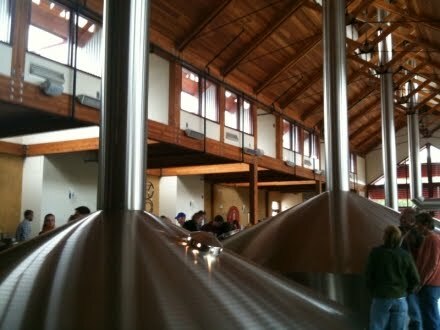 Odell Brewing Company opened in the Fort Collins area in 1989 and is currently undergoing a brewery expansion. 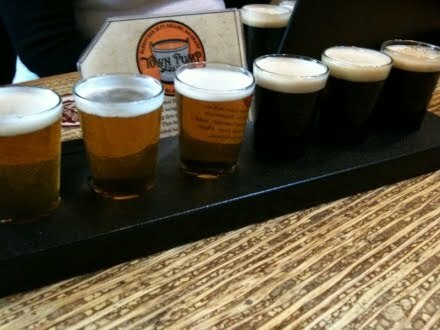 We figured we would hit them up first and sample some of their award winning brews. 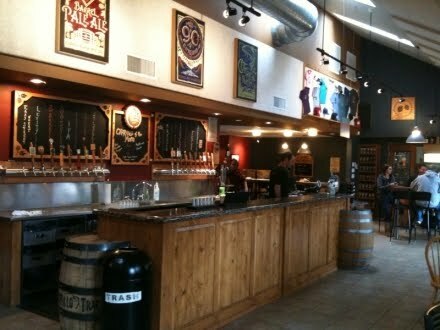 The tap room we visited has been open since 1994 and everything seems to be very well thought out and well put together. 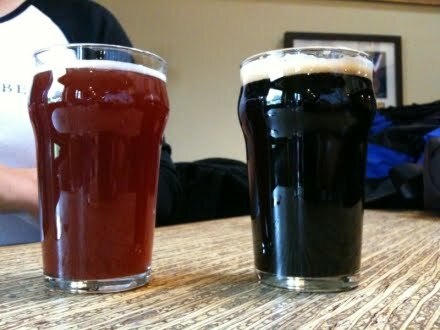 After a sampler each we decided to try a pint of one of their GABF beers. I went for the Friek, a blend of their two-year-old kriek and their new kriek, and because it wasn't quite ready, they added fresh raspberries to make it sweet enough to enjoy. It turned out to be an awesome lambic with lots of big mouth puckering sour notes and just a hint of raspberry sweetness on the finish. I went with their Bourbon Stout, which we also picked up a bottle of. This bourbon stout had the aroma of fresh creme brulee and a combination of brown sugar, vanilla, and toffee. The flavor obviously contained a generous dose of oaked bourbon. Brown sugar, cream, molasses, and dark chocolate all filled out the body of the beer and created a great balance that had very little alcohol burn. This is really one of the better bourbon aged beers I've had. From there we headed to New Belgium. Many of you know of New Belgium from their recent entry into the Indiana market with their three offerings of Fat Tire, Mothership Wit, and 1554. I had signed up for a tour using their really cool online reservation system and we were set for the first tour at 2PM. 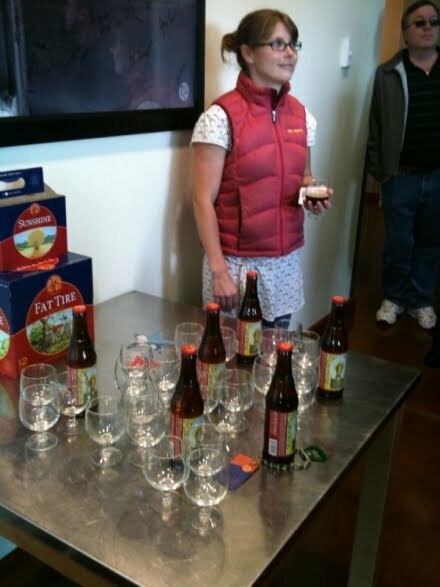 When we arrived we were greeted with the knowledge that we would be getting five samples along the tour and a token for a bonus sample (which we could enjoy at any time throughout our visit to New Belgium). We were also encouraged to fill out postcards while we waited for the tour and they would mail them for us to anyplace in the world. The tour was probably the best brewery tour that we've ever been on, and we even had a sample of the Lips of Faith "La Folie" (a sour brown ale) during our tour. Our guide was extremely knowledgeable and personable. She wasn't hokey (no bad jokes) and encouraged us to ask as many questions as possible. The tour concludes with about twenty or thirty minutes in a private room where you have an opportunity to taste two different brews (we had Le Fleur Misseur and the recently tapped Fall Wild Ale). We filled out more postcards and also imbibed a big goblet of water. After our tour we enjoyed a few more samples before heading on our way. Hoptoberfest: This beer has a nice copper color with a fluffy, foamy head. The nose has lots of overpowering hops and gives you lots of grass and pine. When you take a sip, you're first met with a nice, tame Oktoberfest, and then all of a sudden it's like someone invited the hops to the party and they are there to wreak havoc on your taste buds. 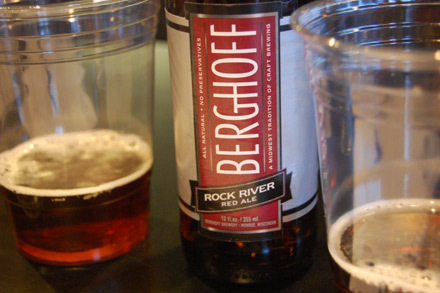 If you like hops and want your Oktoberfest beer to be a little more adventurous, then this is the perfect beer for you. Dandelion Ale: If you haven't heard of this beer before, it is brewed with dandelions instead of hops. Surely your interest is piqued. The dandelions create a grassy nose that lacks the hop bitterness that usually accompanies this scent, along wildflowers and a slight sweetness. 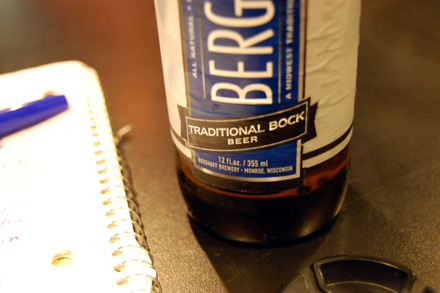 This beer is similar to many complex Belgian beers with a spicy background containing pepper and chamomile. Overall the beer is slightly sweet with hints of clover honey and simple syrup. A slight bitterness appears at the swallow and creates a satisfying finish to a really great herbal Belgian blonde. Adam's Ale: Despite being brewed with Pilsner lager yeast, brewer Adam didn't like the sound of "Adam's Lager" or "Adam's Pilsner," so he went ahead and called it Adam's Ale anyway. The aroma is very clean with only slight hints of malt. Notes of honeydew melon and cantaloupe create an enjoyable sweetness, which is increased with the flavor of honey. 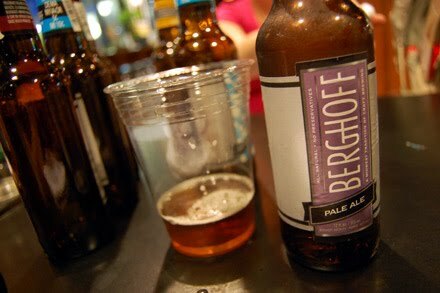 A nice grassy character similar to hop leaves balances out the sweetness. Overall this makes a great summer beer. 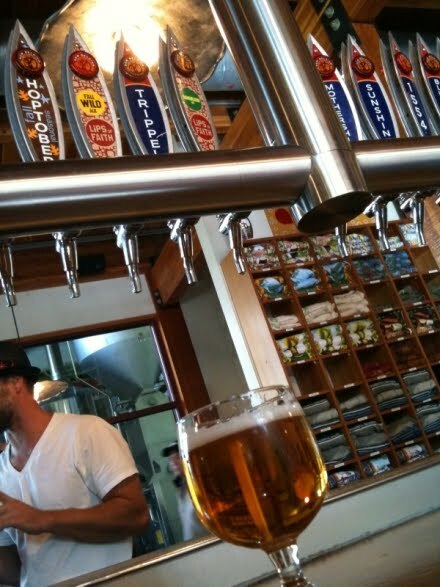 After New Belgium, we hurried over to Fort Collins and squeezed our way in just before last call. Since we were in such a hurry, we didn't snap any photos. The Z lager had a nice, Spezial-like sweet smokiness. For a bit bolder smoke flavor, the Kidd Lager proved to be quite smokey despite its Schwarzbier label. One of the limited release beers we enjoyed was the Common Ground coffee ale. Unlike most coffee beers, this one isn't a stout. The base for Common Ground is an amber ale and it creates a very sweet caramel malt background that provides a nice contrast to the acidic coffee. We both agreed that Gina would approve.